Before using your document from Canada in Hungary it must be authenticated and legalized. This applies to documents such as birth certificate, marriage certificate, legal document, corporate document ask us about your document. In order for it to be authenticated it must be presented to Global Affairs Canada located near our office in Ottawa. Once they have checked the signature in their registry they will authenticate the document. Although their normal processing times can be 15-25 business days ask us about how we can shorten this to as quickly as 1 day. 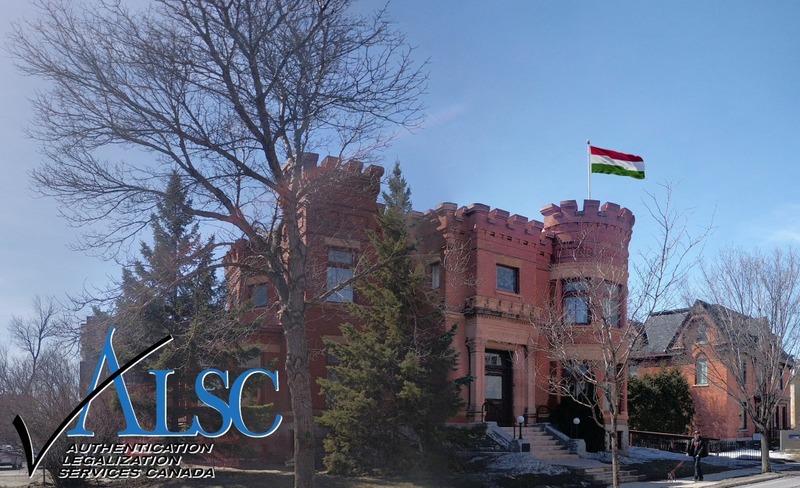 After your document has been authenticated by Foreign Affairs it is now ready for presentation at the Embassy of Hungary also located in Ottawa. In order to legalize your document the embassy does charge a fee please consult with us to confirm the current fee before sending your documents to us for processing. Legalization service is usually fast with requests completed either same day or the next business day which we will confirm with you. As Hungary has signed The Hague Apostille convention you may also see this process called Apostille, which is the equivalent to the authentication and legalization process in Canada. If you need to Apostille, Authenticate or Legalize your personal or corporate document for Hungary we can help contact Authentication Legalization Services Canada.